We are a Delhi based rock band. 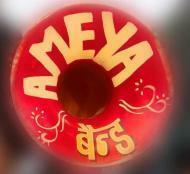 AMEYA means boundless, and perhaps is the most appropriate word to describe our music. Ameya's uniqueness lies in the wonderful amalgamation of different music styles from around the world. It is located in Sarvodya Enclave, Delhi. It takes Regular Classes- at the Institute.